Shah Nihal Idrees, a multidimensional personality who likes to step into every world of challenges to polish himself. He aims to do something good for the society so that one day everyone remembers and cherishes his existence in the world even after his farewell. 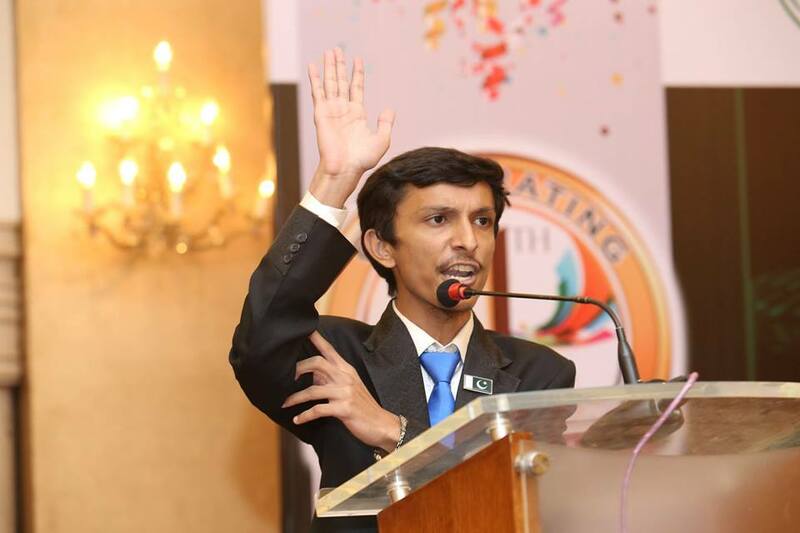 He is famous all over Pakistan due to his public speaking skills. He won an on-air debate competition in Aamir Liaquat’s Ramzan Transmission (2015) at GEO TV which made him a media celebrity. 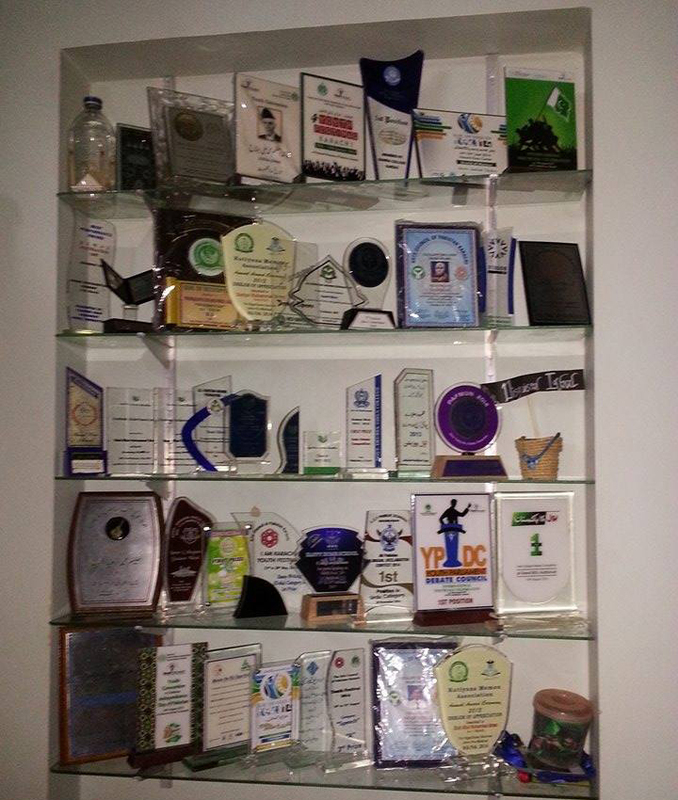 He has won around 150 titles for different forms of public speaking till now. 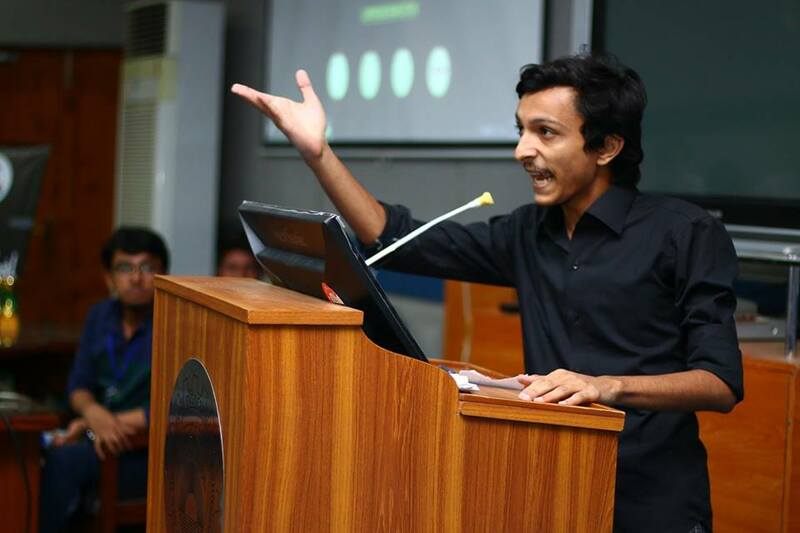 Shah Nihal is currently enrolled in Bachelors of Computer and Information Technology, NED University. He motivates people to experience more co-curricular activities and tries to raise more public speakers from the University. 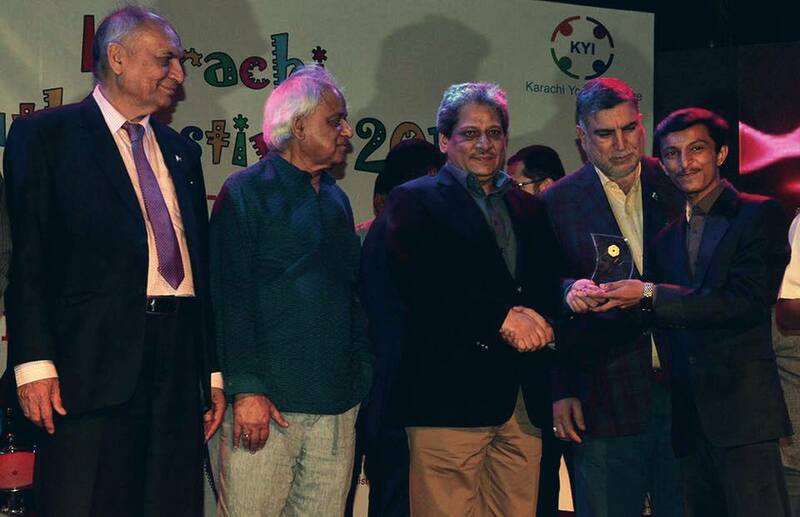 Shah Nihal went on to participate in various competitions. He kept learning and improving. He has tried almost all variations of public speaking. Freestyle speaking is his favorite. He has won most of the prizes for declamations. 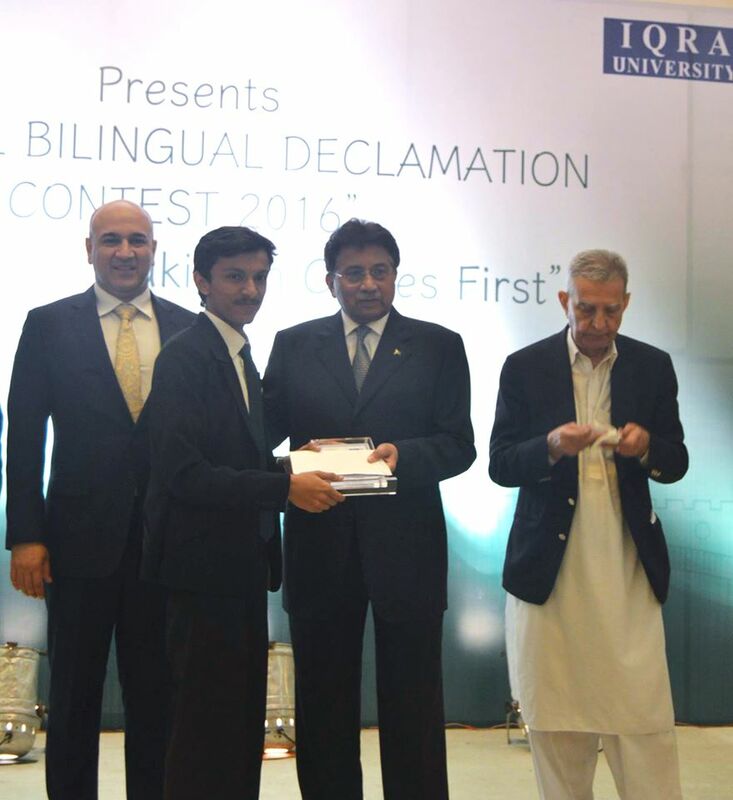 What made Shah Nihal realize his skill of speaking? “My debating career was an unexpected stroke of luck. In eighth grade, one of my teachers came to our class and told us that there was a competition being held. We had to skip few classes for the audition and preparations. Without even realizing that this event would change my life; I went to the audition just for the thrill of bunking, which ended up, opening me to a world of possibilities and learn more about my natural talent. My teacher gave me a sample writing and asked me to read it. That day I received my very first validation, as she said that I had the essentials for becoming a good debater one day. I went home and tried seeking advice from my dad. What was his feeling when he was going to the podium for the first time? “First time is always something you remember for the rest of your life. I was very young when I first walked up to the stage with the intention of delivering a speech, I had some shaky legs, but thanks to the podium who gave me refuge. 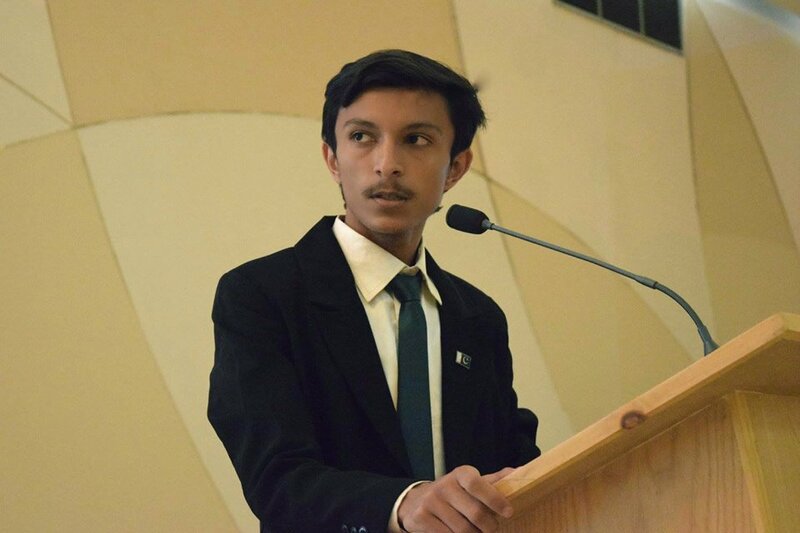 I still remember my first speech was on the topic “Mujhay Pakistani honay par fakhr hai” (I am proud to be a Pakistani). “A very straight forward answer, the Aamir Liaquat’s Ramazan Transmission Debate Competition. Believe me; I had no intentions of winning, all I cared about was I have to deliver the best. I know you might think I am trying to be the bigger man but I swear this is the truth. In a competition where your competitors are elder than you, have more experience than you, have more titles than you, how you can even imagine winning easily. If you see my clips, I always had satisfaction when I completed my speeches in each round. I had no intentions of winning a car which I believe became the sole reason why I won it. Any competitor that he thinks has given him tough times? “I respect all my fellow debaters. I remember that one of my very respected senior said to me “Yaar tu aata hai tou tension hoti hai, sab kahengay bachay se haar gya hahaha,” (I get tensed when I see you competing with me, if you beat me, people will mock me haha). What I learned from this senior was that life is a continuous process of learning. We should not focus on winning rather making an impression that people come to you and say you are the winner in our eyes. Why does he think about very fewer people coming to this field of speaking? “Well, I believe everyone is a born debater. Even when you’re standing in a group of friends, you’re debating. We just don’t comprehend it; the realization kicks in when you’re on the stage, and you see people listening to you. It’s all at that moment. “You are trying to trap me right? Hahaha. I have seen a lot of speakers in my life with their unique skills. I try to adopt and learn skills from every speaker. I personally admire the element of humor in oratory skills. Speakers who can do humor are the ones who can’t do serious speeches the best, and vice versa. That’s what I believe. There are a very few versatile speakers capable of doing both. One of them is Abdullah Jamal without any second thoughts. I never went to him to learn anything, but I always admired him and followed his speeches. Not only him, Raheel Akhtar and Faisal Karim as well who competed when I was in grade 8th. Believe me; you can’t imagine the atmosphere of the auditorium when these people spoke. They had this charm in them which made a vivacious and energetic environment that even dead would come to life. Any advice to the new young speakers? “Public Speaking is a very sacred art, which is being manipulated by using greedy nature of human. Don’t fall for the lust and fame. If it is meant to be for you, you will get it, but don’t make it your sole purpose. Consider every competition as your first; this will help you in learning more. And never underestimate any of your competitors. You can follow Shah Nihal on Facebook or like his Facebook Page.